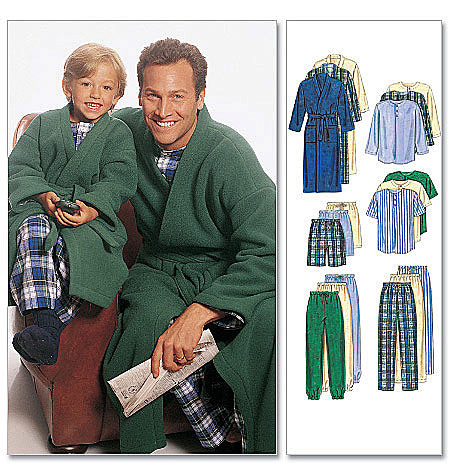 Boys and Mens robe with tie belt, top and pants. Easy to sew out of a solid color or a nature print! Choose Boys sizes 3-8 or Mens sizes Small - XLarge.